Scale of example: Middelharnis has a population of about 14,400 people (including Sommelsdijk), so it is larger than the local population in the Ouddorp example. Middelharnis has a relatively large range of shops, which attract shoppers from across the island of Goeree-Overflakkee, giving it a target clientele of close to 50,000 people. This is a little less than Charlois/Zuidplus South Rotterdam (pop 66,684), and larger than Zierikzee (pop 10,483), which attracts people from across the Zeeland island of Schouwen-Duiveland (pop 33,723). The above photo, from the left, shows: Print shop (out of picture), bed shop, probable ground floor living (was Slaap comfort shop in 2009), ground floor living, home goods shop. 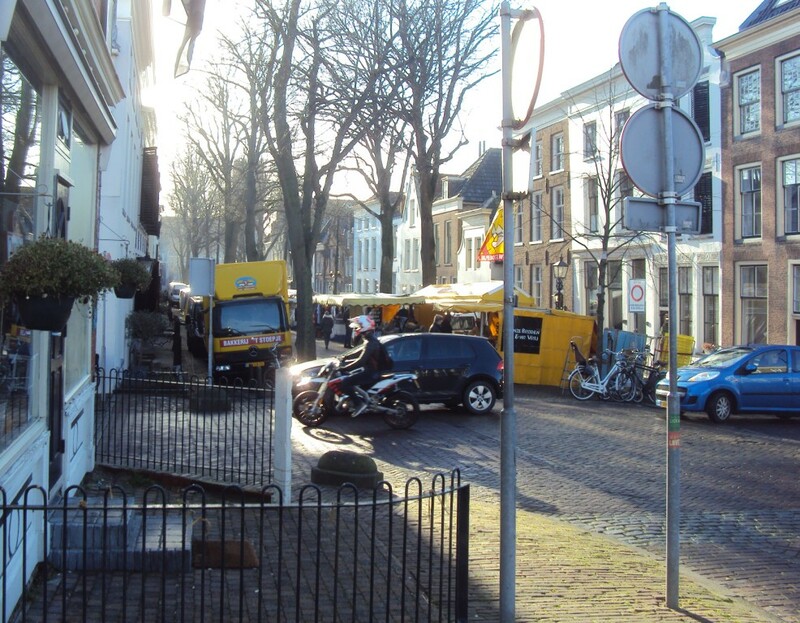 These buildings are approximately midway along Middelharnis’ kilometre-long linear shopping street, and are thus on primary frontages on a retail street. The buildings are there for economic reasons. The central buildings’ ground and first floors are the same design, allowing new uses should a new tenant be needed, such as co-working spaces, pop-up shops, restaurants or cafés, and most of all, residential living on the ground floor. Due to online shopping, it is clear that we cannot solely rely on shops to create a good public realm (ref 3). The above photos show the different frontages in the Middelharnis shopping centre. You can also take a Google street-view walk along this shopping street to form your own opinion on whether ‘Street level residential development would disrupt the commercial zone’ (ref 3) in a positive or negative way, or indeed would have any effect at all. Page 54 – Commercial 5F – Frankton … Because of the trading position of Frankton which is losing a considerable proportion of its immediate trade area through redevelopment of existing housing for industry, the commercial survival of the centre requires a high level of attractiveness which can only be provided through the efforts of the local community itself. In 1366, Duke Ernst I authorized the citizens of Göttingen “that they like to build, set and make their department store and town hall in Göttingen on the street … where and how they want and decide and it is right and convenient for them”. 17. Look at new upcoming functions in areas with vacancy, such as co-working spaces, temporary “meanwhile spaces”, restaurants and cafés, social functions such as elementary schools, and most of all residential living on the ground floor. Due to online shopping, it is clear that we cannot solely rely on shops to create a good public realm.